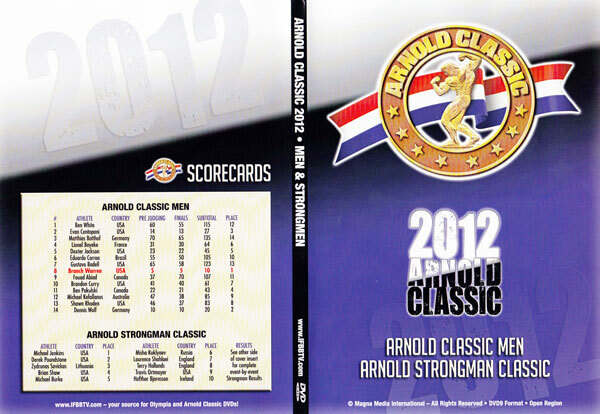 This year we are again offering a FOUR HOUR DVD of the Arnold Classic and Strongman. 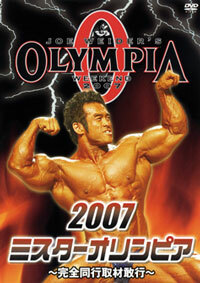 See Branch Warren make it two victories in a row at the 2012 Arnold Classic as he triumphs over sensational Dennis Wolf and Evan Centopani. The top 6 were 1. Branch Warren, 2. Dennis Wolf, 3. Evan Centopani, 4. Ben Pakulski, 5. 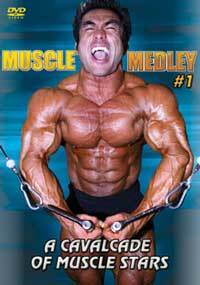 Dexter Jackson, 6. Lionel Beyeke. 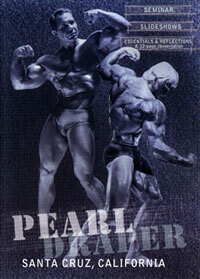 The DVD includes ceremonies, speeches, presentations by Arnold Schwarzenegger and a tribue to Bob Kennedy,to round out the contents of this great show. 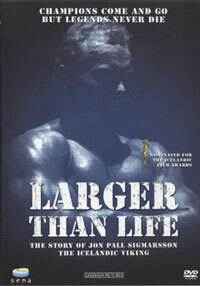 Includes the COMPLETE PREJUDGING & FINALS for the Arnold Classic and approximately 2 hours of STRONGMAN. 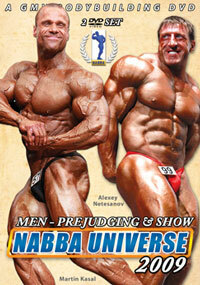 The 8 hours 2 DVD set on THE AMATEURS will be ready in 2 weeks' time. World records were set, and then the exciting final event was held on stage in front of thousands of fans on Saturday night. See all five events. Michael Jenkins of Hershey, PA won his first Arnold Strongman Classic contest over an international field. 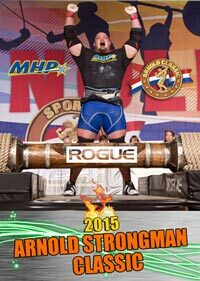 This new star captured the 11th Annual Arnold Strongman Classic title. 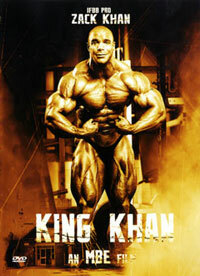 Jenkins set three world records, in the Circus Dumbbell, Timber Carry and the Austrian Oak Lift. Events included: Shouldering Apollon’s Wheels, Circus Dumbbell, The Austrian Oak, The Deadlift and the Timber Carry.